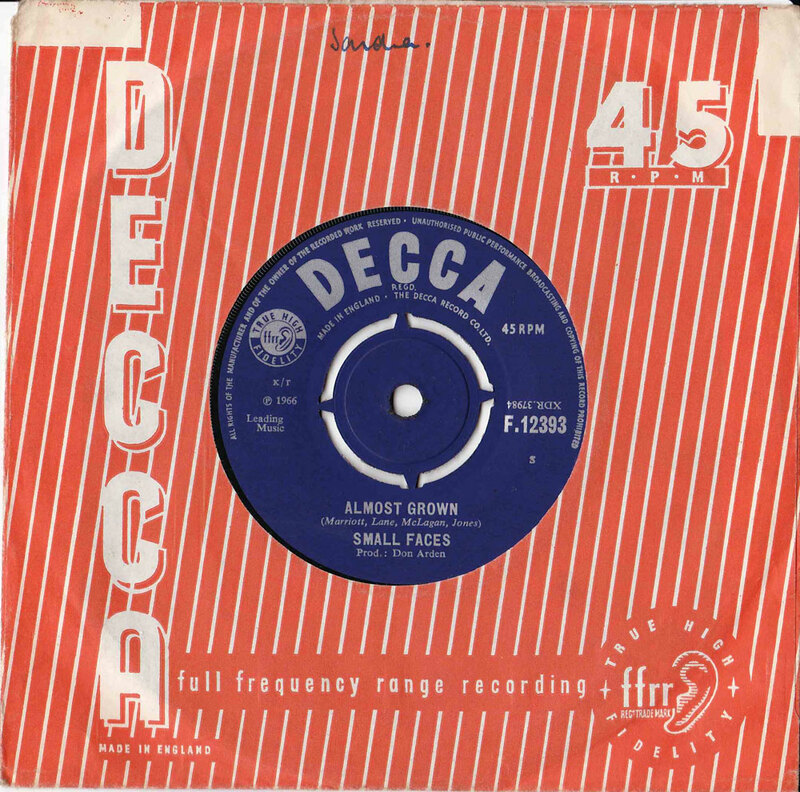 Recorded at IBC Studios between 21-25 February 1966. The Small Faces' fourth single and follow-up to Sha La La La Lee was the exuberant and irresistibly catchy Hey Girl. The song also signaled the return of Steve and Ronnie as "singles" songwriters. The band later dismissed Hey Girl as mere nursery rhyme pop, which may be true, but it still stood as a perfect vehicle for Steve's thundering vocals and showed that he could turn a simple pop song into an 'almost' piece of soul music. 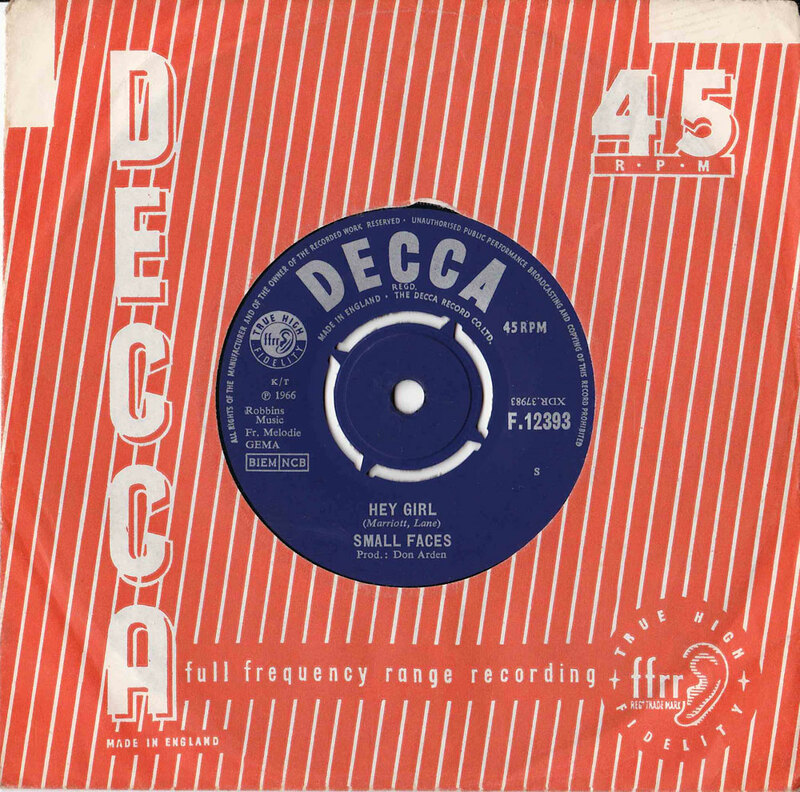 The style of Hey Girl followed in Sha La La La Lee's footsteps, in terms of pop sensibility and at least it let the boys stay in the driving seat as chief songwriters and kept Don Arden happy by reaching the fringes of the top ten. The b-side Almost Grown was a blinding mod instrumental, which epitomised Swinging London. Mac's Booker T-style organ played, Ronnie's pumping bass, Kenney's crashing drums and Steve's searing guitar and occasional shouts showed a band in love with their music and in love with their times. And the best was yet to come.